BR 55/40 RS Bp Pack 15331730 https://www.kaercher.com/tn/professional/floor-scrubbers-scrubber-dryers/scrubber-driers/step-on-scrubber-driers/br-55-40-rs-bp-pack-15331730.html Compact step-on scrubber drier with roller technology, 55 cm working width, 40 litre tank and about 120 cm turning circle. With eco mode for energy-saving and eco-friendly cleaning. Compact step-on scrubber drier with roller technology, 55 cm working width, 40 litre tank and about 120 cm turning circle. With eco mode for energy-saving and eco-friendly cleaning. 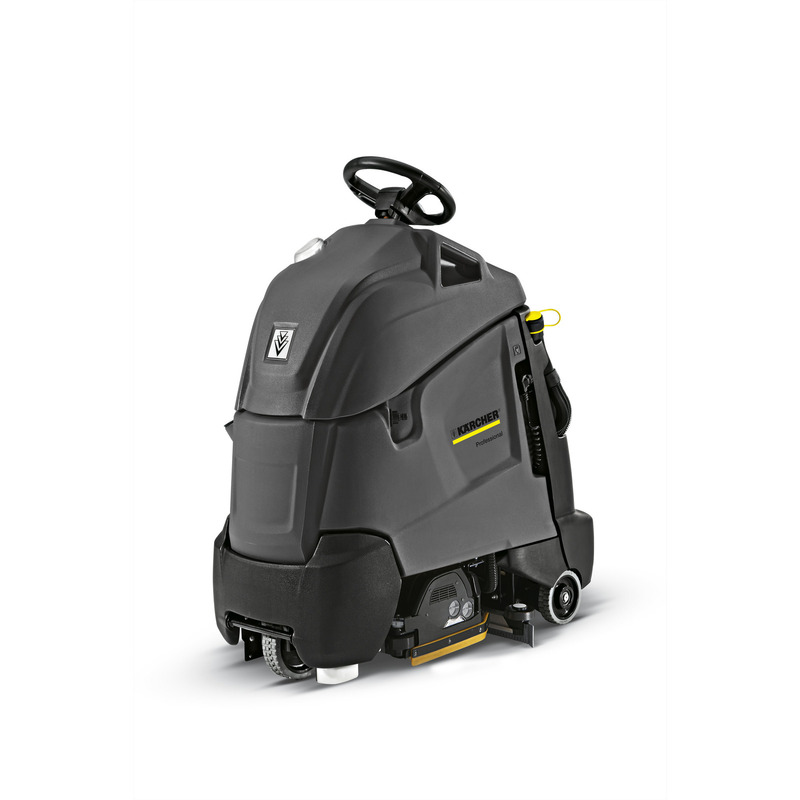 The very compact BR 55/40 RS Bp Pack step-on scrubber drier with powerful 36 V batteries combines the manoeuvrability of a walk-behind machine with the speed of a ride-on machine. The small turning circle of about 120 cm makes it ideal for use in narrow and awkward areas. Raised operating position for a clear view. Efficient roller technology for excellent scrubbing performance and cleaning in crevices. Effortlessly removes stubborn dirt on structured surfaces. The integrated sweeping unit makes time-consuming pre-sweeping unnecessary. Suction lips, brushes and squeegees can be changed without tools in seconds. The eco mode can be selected at the push of a button. This makes maintenance cleaning energy-efficient, eco-friendly and saves time and costs - with excellent cleaning results. Batteries can be charged quickly and easily from any standard power outlet with the integrated charger.This machine is ideal for contract cleaners and use in supermarkets, industrial systems, public buildings and healthcare facilities.